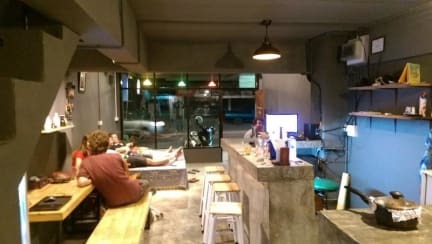 Juno Hostel is located in Pai town just 5 minute away from the bus station and from here you can go to various destinations around Pai. 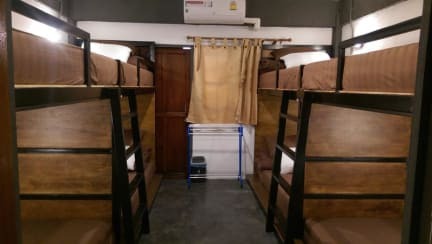 Our Hostel also surrounded with a range of services and amenities all within 150 m Post Office/Fresh Market/Restaurants/24-Hour Convenient stores for all you daily needs. It's a nice place to stay near the center. Just 10 minutes walking from the main road. Beds were comfortable, breakfast was good with bananas, toast, butter, jam and rice. The stuff is helpfull and very nice. All dark coloured but it's enough to spend there some good days in this young city!